Spectral ball track fun: first charge the marbles in the daylight so that they recover their luminosity, then let them roll their eerily beautiful way down the ball track. The spectral marbles can be recharged at any time with a light. 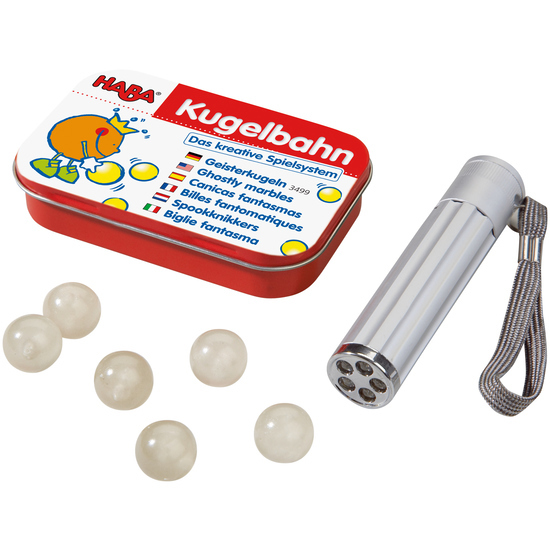 Contents: 6 marbles, 1 flashlight. Warnings: Warning. Not suitable for children under 3 years. Small balls. Choking hazard.